The Lensic, Santa Fe’s Performing Arts Center, located at 211 West San Francisco St., plays host to the Santa Fe Pro Musica season opening concert from 6 to 8 p.m., Saturday, September 15, 2012. Pro Musica features a variety of music from the last four hundred years including chamber orchestra, chamber ensemble, and large-scale oratorios. The event is featured on SantaFe.com’s event calendar. 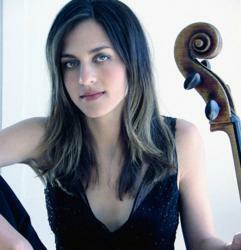 The Santa Fe Pro Music season opener features renowned cello musician Julia Albers, playing Haydn Cello Concerto in D Major. Also on the program: Rossini L'italiana in Algeri Overture and Beethoven Symphony No. 2 in D Major. The event is featured on SantaFe.com’s event calendar. 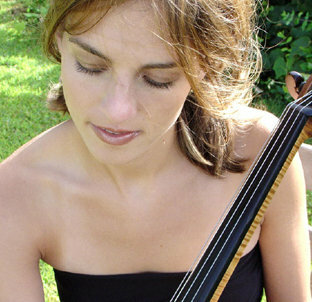 Julie Albers made her major orchestral debut with the Cleveland Orchestra in 1998, and thereafter has performed in recital and with orchestras throughout North America, Europe, Korea, Taiwan, Australia, and New Zealand. In 2001, she won Second Prize in Munich’s Internationalen Musikwettbewerbes der ARD, and was also awarded the Wilhelm-Weichsler-Musikpreis der Stadt Osnabruch . While in Germany, she recorded solo and chamber music of Kodaly for the Bavarian Radio, performances that have been heard throughout Europe. In 2003, Miss Albers was named the first Gold Medal Laureate of South Korea’s Gyeongnam International Music Competition, winning the $25,000 Grand Prize. In North America, Miss Albers has performed with many important orchestras and ensembles. Recent performances have included exciting debuts on the San Francisco Performances series and with the Grant Park Music Festival where she performed Penderecki’s Concerto Grosso for 3 cellos with Mr. Penderecki conducting. Past seasons have included concerto appearances with the Orchestras of Colorado, Indianapolis, San Diego, Seattle, Vancouver, and Munchener Kammerorchester among others. Santa Fe Pro Musica is that rare musical organization: strongly committed to its community, while achieving national recognition. Founded in 1980 by Tom O’Connor (Music Director and Conductor) and Carol Redman (Education and Associate Artistic Director) Santa Fe Pro Musica has consistently expanded its repertoire, its audience, and its reputation. Entering its 31st season, Pro Musica embodies the founders' vision: a performing arts and educational music nonprofit organization that has grown into a major musical presence in Northern New Mexico and far beyond. In its early years, Santa Fe Pro Musica’s repertoire consisted primarily of duos, trios, and quartets, and the organization specialized in performing Baroque music on period instruments. Pro Musica now presents a varied repertoire of music from the last four centuries, including works for chamber orchestra, chamber ensemble, and large-scale oratorios. The annual Baroque Christmas concerts—always sold out—are so popular that visitors from all over the world include them in their Santa Fe holiday plans. In addition to concerts by its Chamber Orchestra and Baroque Ensemble, Santa Fe Pro Musica presents world-renowned solo artists such as Yo-Yo Ma, Lang Lang and Ian Bostridge, while also offering audiences the opportunity to hear up-and-coming young performers like this season’s Jan Lisiecki and Chad Hoopes. Santa Fe Pro Musica was highly honored at the end of 2007, when its recording of Mahler’s Das Lied von der Erde/The Song of the Earth, in collaboration with the Smithsonian Chamber Players, was nominated for a 2008 GRAMMY® Award in the classical music category of Best Small Ensemble Performance. The Santa Fe Pro Music season opener featured renowned cello musician Julia Albers, playing Haydn Cello Concerto in D Major Santa Fe Pro Musica is that rare musical organization: strongly committed to its community, while achieving national recognitionEntering its 31st season, Pro Musica embodies the founders' vision: a performing arts and educational music nonprofit organization that has grown into a major musical presence in Northern New Mexico and far beyond.